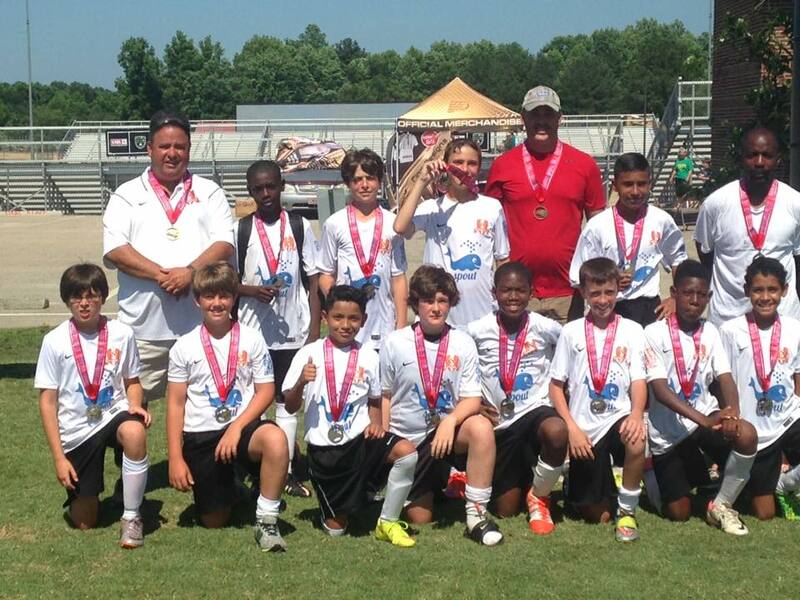 RALEIGH — Noah Aiken, River Meacham and Joey Nicholson each tallied a goal for AC Rock as the Under-12 travel soccer team edged Wake FC Milan 3-2 over the weekend to claim the Powerade State Game tournament title at Wachovia Field in Raleigh. 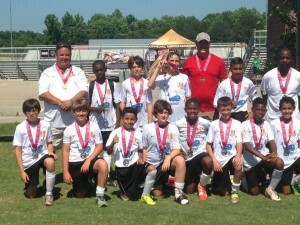 It’s the team’s second championship in four tournaments. Others scoring goals in the weekend tournament included Steven Morales (3), Trevor Moss (2), Noah Aikn (2), Johan Chavez (2) and one each by River Meacham and Joey Nicholson. Pictured in the front row, from left to left: Justin Mabe, Noah Aiken, Johan Chavez, Mitchell Massey, Bryan Stanback, Robert Potter, Joy Nicholson, Keaton Sweatt; back row left to right: head coach Pat Moss, Timere Nicholson, Rivr Meacham, Trevor Moss, team manager Wayne Potter, Steven Morales and assistant coach Earl Nicholson.